On the heels of this mornings report that Deutsche Telekom was watching the real-time voting results from MetroPCS shareholders comes a new report via the Wall Street Journal. The Journal is reporting that “people familiar with the after” have told the publication Deutsche Telekom is reviewing a sweeter bid for MetroPCS. The improved terms of a new deal could be announced as early as Wednesday according to one of the Journal’s sources. 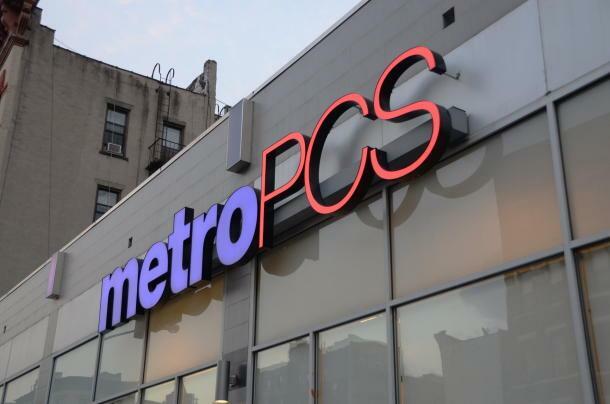 The new terms would likely include a reduction in New Co debt, one of the biggest roadblocks for MetroPCS shareholders who had shown opposition to the deal. Other details surrounding any improved offer weren’t immediately available, as sources could only say that Senior Deutsche Telekom officials are reviewing the offer. Should Deutsche Telekom show an improved offer, the meeting would likely be delayed an extra two weeks to allow time for shareholders to review and if necessary, change their votes. With opponents of the deal getting a huge bump from two of the three major proxy advisory firms Institutional Shareholder Services and Glass Lewis urging a vote against the deal, Deutsche Telekom finds itself in a bit of a quandary. The advice of proxy advisory firms is simply an overall look at the structure of the deal and isn’t binding, but can be influential, especially to undecided voters. Will Deutsche Telekom improve its offer? We’ll find out soon enough. honestly, at this point I think it may be smart of them to sweeten it just a little bit seeing as we’re so close and there are still a few opposers. T-Mobile NEEDS this merger to happen, it’s a huge part of their future network plans. Every merger goes through this transition, this is no different. My wife and I merged and we created more work. MetroPCS does with 3600 people what T-Mobile does with 10x that amount. That’s what you are seeing with layoffs. …T-Mobile also has a larger network with about 3.5x the customers. 3.5X customers, 10x employees does not equate. MetroPCS has more than 7000 contractors and outsource call center employees. Oh, for sure. I wasn’t saying they shouldn’t have laid people off for the merger, just that they look like huge jerks if it falls through for some reason. Idk…paulson and co have big..BIG influence. They may want to get that x percentage back in the new company. They better hurry up and sweeten the deal. Dish has amasses over 10 billion, according to fiercewireless. I doubt they are going to spend 10 billion on clearwire. I think they are planning on counter bidding DT. We all know tmobile needs metro. If they could get metro, then DT would have to meet dish on their terms. Good point. I’d like to see a NewTMO / Dish merger on the heels of this one though. I so wonder what would happen if this merger were to flatline. Will they go it alone? Do they have a plan C? Will they just close up shop and sell off the spectrum they have? For t-mo? Not much. The metropcs merger mostly striegthened their spectrum holdings and gave DT a way out if they wanted… It was about flexibility and cynergies. Metro, they had nothing else on the table.. Sprint is busy with SoftBank and other holdings. Metro also has failed at buying any additional spectrum. Growth as a stand alone cell company is limited. They would have to go the MVO route to expand. The anylists, against the deal make that sound great but really, those companies are not very bright and have little control over expansion and roaming. This merger was watered down to begin with since according to proxy filings the original plan was for DT to merge Leap, Metro, and T-Mobile into one company. Wow leap too? That would have been awesome! If DT told me the sky was blue I still would look up just to be sure. In any case, the metro deal will happen one way or another and T-Mobile can get on with 20×20 LTE-A and other network upgrades this deal brings to the table.